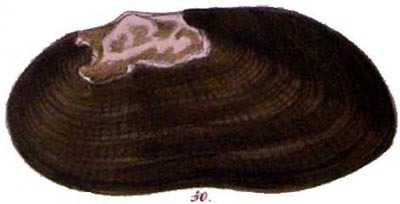 Sowerby, 1867, Conch. Icon. : pl. 14, sp. 50. 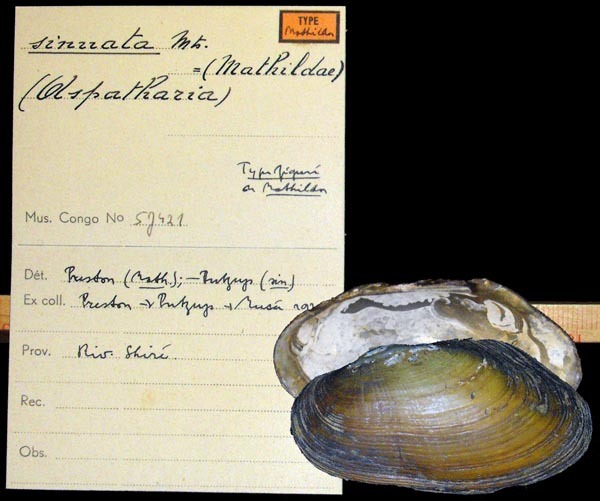 Type(s): HOLOTYPE BMNH_1965192, Lake Nyassa. Preston, 1913, Rev. Zool. Afr. : 61, pl. 6, fig. 7. 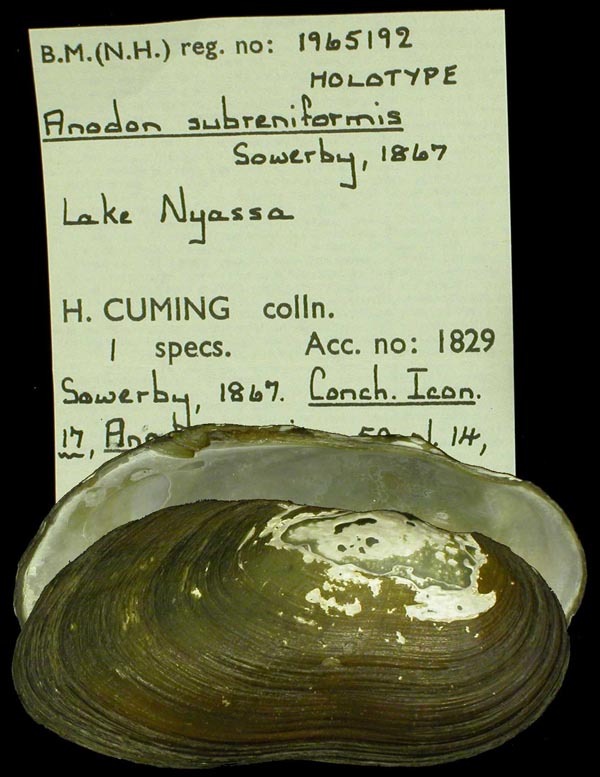 Type(s): HOLOTYPE MRAC_57421, Riv. Shire. Preston, 1913, Rev. Zool. Afr. : 61, pl. 6, fig. 6. 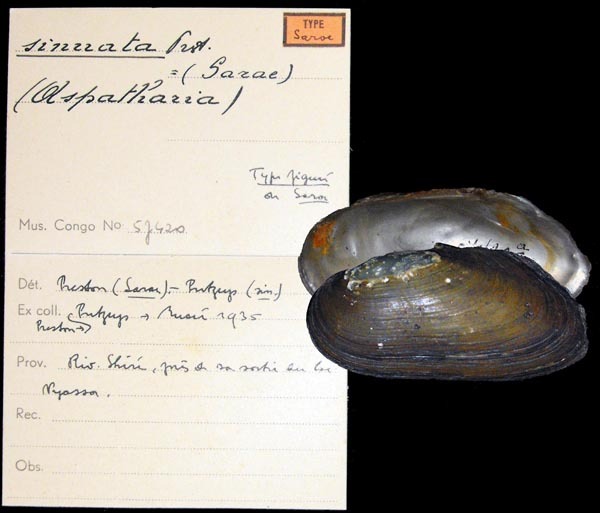 Type(s): HOLOTYPE (MONOTYPY) MRAC_57420, Riv Shire, pres... Nyassa. ‘Mts.’ Connolly, 1931, Ann. S. Afr. Mus. : 323.